Vernell Myers was born on May 1st, 1934 in Paulding, Mississippi to the late Bill and Viola Myers. Vernell joined Rocky Mt. Baptist Church at an early age. Vernell married Walterine Massey and to this union they were blessed with seven children. Vernell worked for Uniroyal Army Ammunition Plant. He later retired from Caterpillar in Joliet, IL. 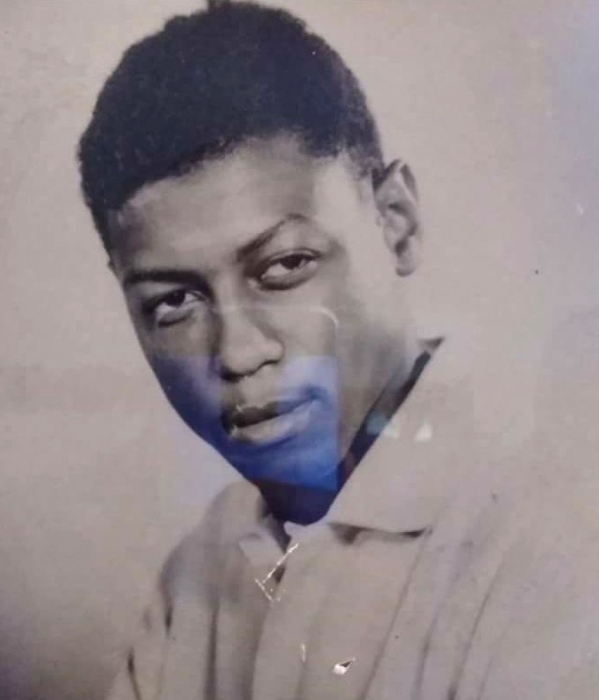 Vernell was an avid baseball fan who loved to watch baseball games with his sons Vernell Myers Jr., Michael Myers, Fred Myers, and his two nephews Willie Jones and Johnny Jones. He also loved to watch old county western movies. After Vernell’s eyesight became dim he loved to listen to music. He loved the William Brothers and old-time blues. One of his all-time favorites was “I learned to lean on Jesus.” He would pat his feet and form his hands as if he was playing the guitar. Vernell loved to reminisce about two things: his Record Shop on Woodruff Rd. and growing up in Bay Springs, MS.
Vernell had one of the best gifts a daughter could ever ask for, the gift of meekness. He taught his children to never talk bad about anyone. Vernell taught all of his sons’ automotive, landscaping, gardening, and carpentry. Vernell was preceded in death by his parents, Bill and Viola Myers and one brother, Willie B. Myers. Vernell leaves to cherish: his loving wife of 46 years, Walterine Myers. One sister, Vertie B. Gause, and one brother, J.B. Myers. Five sons, Gary Dean Myers (Irma), Vernell Myers Jr. (Mattie), Billy Ray Myers (Patrece), Michael Myers, Frederick Myers (Amy), four daughters, Rhonda Posley (Lonnie), Deborah Myers, Sherry Myers and Leticia Campbell. Vernell leaves behind 22 grandchildren, 27 great grandchildren, and a host of uncles, aunts, nieces, nephews, cousins and friends.